Gianluca Grippa, Donald Guerre, Antonio Vargas. 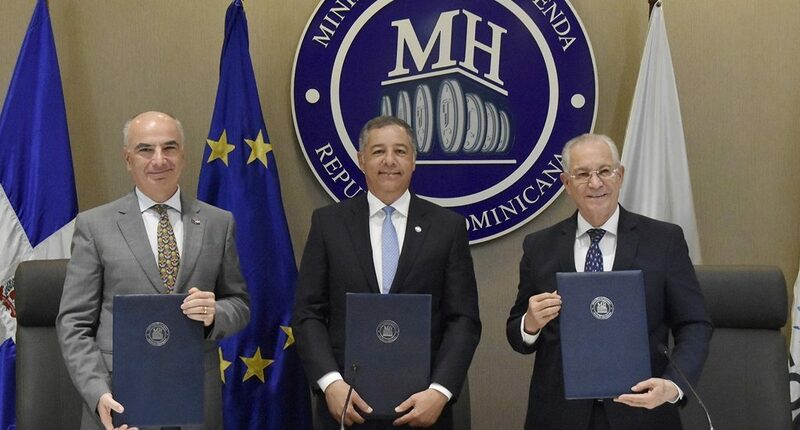 Santo Domingo.- The Dominican Government and the European Union announced Wednesday the signing of a budget support agreement for 14.8 million euros, to be disbursed during the next three years. The announcement was made during a meeting in the Finance Ministry, with Finance minister Donald Guerrero, EU delegation ambassador Gianluca Grippa, and European Development Funds national coordinator Antonio Vargas. “The agreement aims to promote an efficient, transparent and results-oriented public administration, where the allocation of resources corresponds to national development priorities and thereby contribute to a more equitable distribution of income,” the Finance Ministry said in a statement.